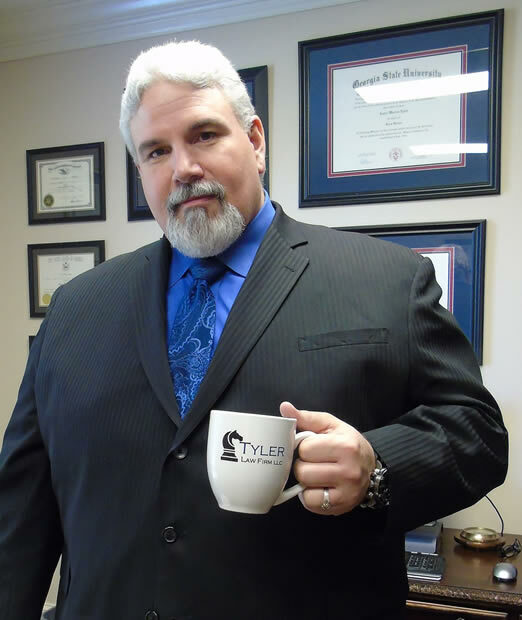 MEET LANCE – TYLER LAW FIRM, LLC. I know that a DUI arrest can be shocking, humiliating, stressful, and often overwhelming. The repercussion of a DUI conviction can alter the course of someone’s life. After a DUI arrest, one of the first things a person needs is someone who can answer questions and provide the information necessary to choose the best course of action. Not everyone needs to fight their DUI, but you do need an experienced attorney to fully explain your options and review possible defenses. I am a Georgia DUI defense attorney who fights for his clients. I have been able to get “not guilty” verdicts in cases other attorneys thought were impossible. I have won DUI trials with high breath tests results, high blood test results, test refusals, and DUI drugs cases with positive blood test results. I have won numerous constitutional and statutory challenges to the admissibility of breath and blood-alcohol test results. Like many successful DUI defense attorneys, I am a former prosecutor. I prosecuted DUI cases with the Gwinnett County Solicitor’s Office before becoming a DUI defense attorney. I am certified as a Georgia Police Senior Instructor – a senior instructor provides training to police instructors. I have advanced certification with the Georgia Officer Standards & Training Council and I completed training as a National Highway Traffic Safety Administration (NHTSA) Standardized Field Sobriety Instructor. Unlike most DUI attorneys, I have firsthand experience with every aspect of a DUI case, from the initial investigation and arrest through prosecution, defense and appeal. That experience gives me a unique insight into DUI defense and provides a tremendous advantage to my clients. The Case Everyone Is Talking About. 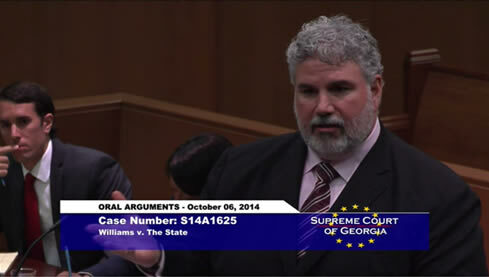 In Williams v. State, S14A1625, I defended the Fourth Amendment rights of DUI defendant’s before the Georgia Supreme Court. I asked the Court to resolve a long standing conflict between the statutory requirements of Georgia’s implied consent law and the protections founded in the Fourth Amendment. In 1973, the Georgia Supreme Court, in error, authorized officers to compel a state-administered blood-alcohol test based upon probable cause to arrest for DUI, based on a per se exigency, without having to get a search warrant or otherwise show an exception to the warrant requirement. In 2006, the Georgia legislature authorized officers to obtain search warrants and, in 2013, the Gwinnett County Police Department’s DUI task force officers began obtaining search warrants for blood-tests in cases where DUI suspects refused testing under Georgia’s implied consent law. In response to this, I challenged those cases where a DUI suspect submitted under Georgia’s implied consent law. On March 27, 2015, the Georgia Supreme Court ruled unanimously to overturn a decades-old holding that authorized police officers and trial courts to ignore a DUI defendant’s Fourth Amendment rights. 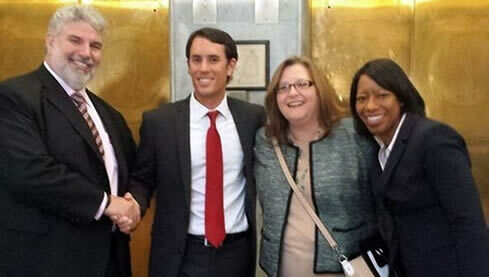 L to R: Lance with Gwinnett Assistant Solicitor Shane McKean, Gwinnett Solicitor Rosanna Szabo, and Gwinnett Senior Assistant Solicitor Joelle Nazaire following oral arguments before the Georgia Supreme Court in Williams v. State. Admitted to practice before all Georgia courts, the Georgia Court of Appeals, the Georgia Supreme Court, the U.S. District Courts for the Northern and Middle Districts of Georgia, the U.S. District Court for the Northern District of Florida, the Eleventh Circuit Court of Appeals, and the U.S. Supreme Court.